Sports injuries affect every part of the body through strains, sprains, tears, dislocations, and many other causes. While most conditions heal on their own, having Dr. Faranak Taheri of My Chiropractic Doctor in Tysons Corner, Virginia check your injury ensures that your body has its best chance to heal naturally. Call the office today to set up a visit. What are the most common injuries caused by sports? Sprains and strains are often confused. A sprain affects ligaments — the tissue connecting bones. Stretching ligaments beyond their normal range of motion stretches, tears, or deforms them. Strains are injuries to tendons and muscles from similar causes: stretching and tearing. How can I prevent common injuries? Some injuries are accidents that just happen and there’s no way to anticipate or prevent them. In other cases, patients over-reach and play beyond their conditioning and ability. 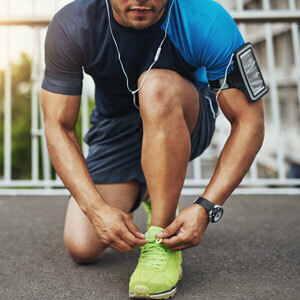 While recent research throws new light on the merits of pregame stretching and warm-up, light activity ahead of more rigorous exertion starts blood flow to the muscles and increases flexibility, reducing the likelihood of injury. Fatigue plays a role, so stopping play before you get exhausted also reduces the risk of overextension. Regular chiropractic treatment may also help prevent injury by restoring range of motion and body balance. The core philosophy of chiropractic care provides conservative care to let the body function and heal as naturally as possible. What sports injuries can Dr. Taheri treat? When it comes to musculoskeletal injuries, Dr. Taheri can help with just about all of them. Treatment depends, of course, on the nature of the injury. Not every sports problem requires a chiropractic adjustment or spinal manipulation. Soft tissue strains and sprains may be better treated with other techniques. For example, Dr. Taheri is trained in the Graston technique. This uses manual tools to break up scar tissue in the fascia, those knots and lumps that often accompany muscle overwork. Given the importance of physical activity to a healthy lifestyle, there’s no reason to wait for injuries to heal when Dr. Taheri’s help is at hand.